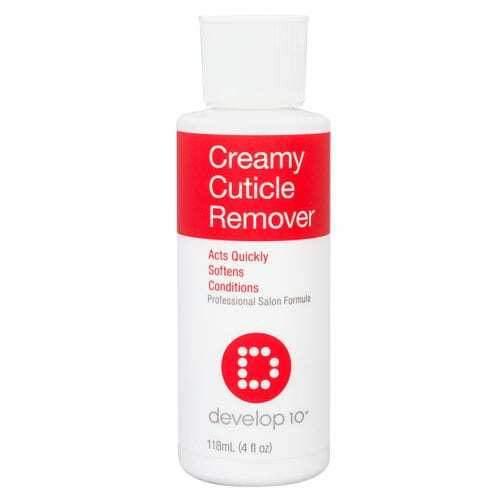 Develop 10’s Cream Cuticle Remover acts quickly to soften and condition in the cuticle in order to remove cuticles quickly and easily. 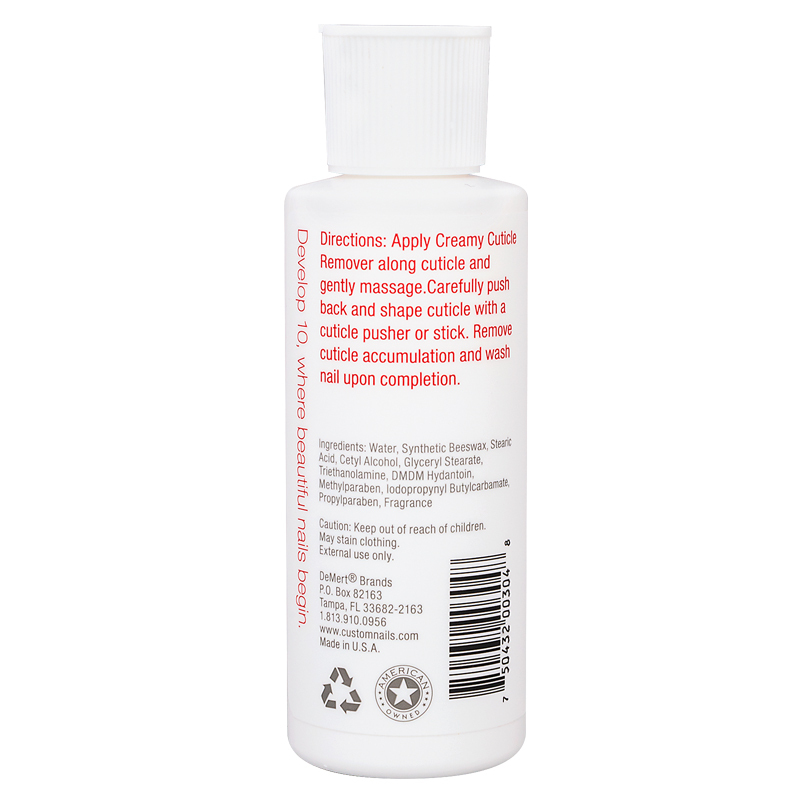 Directions: Apply Creamy Cuticle Remover along cuticle and gently massage. Carefully push back and shape cuticle with a cuticle pusher or stick. Remove cuticle accumulation and wash nail upon completion. Warning: Keep out of reach of children. May stain clothing. External use only.